For nearly three decades no two of John Russell's Quaqua groups have ever been the same. Each group coming together for the duration of a specific project and always featuring some of the most creative and individual improvisers around in previously unheard permutations. You will never have heard this music before and you will never hear it played live again. In putting a Quaqua group together Russell says his basic philosophy has always been to extend and develop existing musical strands alongside a juxtaposition of the new and untried and that he sees this as a providing an extremely fertile basis for free improvisation. There are no prior instructions given to the musicians and no direction is given during the performance, the unfolding music being the sole arbiter of choice. Chris has worked in and around free improvisation since the mid 1970s when he participated in "intuitive music" workshops with one time Stockhausen assistant Robin Maconie. Since then he has worked in such diverse areas as multi instrumentalist - primarily piano and trumpet - ensemble leader, composer and arranger. 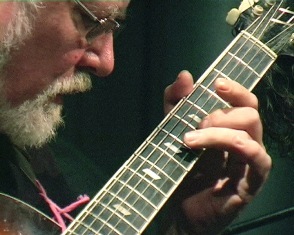 His transcription and arrangement of a Derek Bailey improvised guitar solo was heard on Radio 3 last year and a number of similar reinterpretations of Bailey's improvising have been recorded for CD release. For many years he led the improvising group "Ensemble", which now gives occasional concerts with a flexible personnel. Recent concerts have included Vienna, Berlin and the USA. His association with John Russell is both a musical one and that of co-organiser of the "Mopomoso" concert series during its time at the Red Rose. Satoko began playing violin in Japan at the age of seven, two years later coming to England to study with Catherine Lord. Her debut concerto performance was at the age of thirteen for the Anglo Japanese Society. She has since performed and recorded in the UK and Ireland, France, Germany, Switzerland, Italy, Bulgaria, Japan, Israel, RSA and USA. In 1997, she was invited to study at the Yehudi Menuhin School on full scholarship with Natasha Boyarskaya and Lucia Ibragimova. During this time as a soloist she made her television debut in Japan, was invited to perform at the Wigmore Hall and the Royal Opera House with her Quartet and led the Menuhin School orchestra through Live Broadcast for Classic FM and the Menuhin Festival tour in Switzerland as well as at the Royal Albert and Queen Elizabeth Halls. 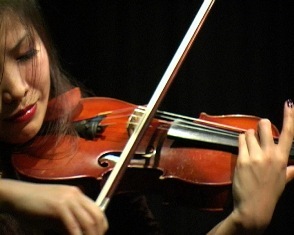 Satoko graduated from the Royal College of Music where she studied with Itzhak Rashkovsky as a Joseph and Jill Karaviotis Scholar with prestigious awards such as the Ian Stouker Prize and the English Speaking Union Scholarship. Over the last five years she has established herself as an improviser of great skill and imagination playing with, among others Steve Beresford, John Russell, Hannah Marshall and Veryan Weston. Gus has worked in a variety of musical settings: jazz, contemporary music, pop, cabaret, dance, theatre and, most importantly, improvised music where he has performed with many leading players. In 1988 he formed "Arc" with Sylvia Hallett and Danny Kingshill and their third album is due to be released in time for this festival. In 2004 he formed "In Sand" with Richard Padley, Thor Magnusson, Satoko Fukuda and Danny Kingshill, their first album "Whatever" coming out last year. Gus is part of the Brighton Safehouse collective. He has collaborated with a wide range of improvising and contemporary music players and dancers. He frequently works with laptop musicians, most notably in a duo with Danny Powell and also performs solo. 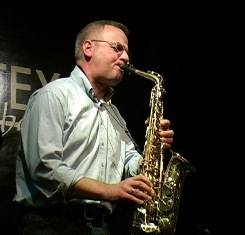 From 1982, Stefan studied privately with various teachers, starting on the tenor saxophone. 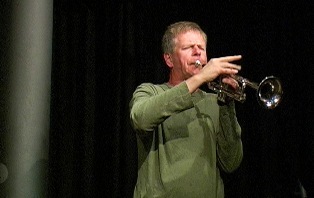 He was attracted to free improvised music from the beginning while using classical techniques from contemporary music as the basis of his playing. Keune began playing in local groups from 1985 and since then he has intensively dedicated himself to the different kinds of improvised music. In 1990 he established contacts, with Paul Lytton, Dietmar Diesner, Matthias Bauer and others. In 1991, together with Lytton and bass player Hans Schneider he founded the "Stefan Keune Trio", and in 1992, the CD Loft was released. This was followed by an intense chamber-music-like phase of work, notably in a quartet with Paul Lovens, John Russell and Hans Schneider. He has played in close association with, and feels an affinity for, British free improvisors such as Roger Turner, Phil Durrant, John Butcher and other European improvisors such as Mats Gustafsson, Raymond Strid, Radu Malfatti and the late Peter Kowald. He is founder member of the "Ensemble Echtzeit" and currently leads his own trio with Hans Schneider and Achim Kraemer. Phil Minton was born in Torquay, UK in 1940. Both his parents were singers. He learnt trumpet from age 15 and played and sang with local jazz groups, moving to London in 1963 to play with Mike Westbrook. From the mid 1960s he worked in dance bands in the UK, Canary Islands and Sweden. Rejoining Westbrook in 1972 he was a regular member of his Brass Band until 1984, playing trumpet and singing extensively in Europe, USA and beyond. Over the last 30 years Minton has worked mainly as an improvising singer, developing a unique vocal approach, in which the whole spectrum of human vocal noises is explored and transformed. He has sung with most of the world's leading improvising musicians as well as been a guest singer for many composers. He collaborated with pianist Veryan Weston on compositions such as "Songs from a Prison Diary" and is currently a member of improvising groups TooT, No Walls, 5 Men Singing, fORCH, Adorno, Speeq and Axon. He also has a quartet with Veryan, John Butcher, and Roger Turner, and plays duos with these three musicians. New working duos are with singers and musicians, Isabelle Duthoit, Maggie Nicols, Audrey Chen, Terry Day, Hugh Metcalfe, Daunik Lazro and Sophie Agnel. He was a Nesta awardee in 2005 and in the last 15 years has traveled to many countries with his "Feral Choir" - a workshop and concert for all people who want to sing. John began playing the guitar in 1965, playing free improvisation in and around London from 1972 onwards. From 1974 his work extended into teaching, broadcasts (radio and television) and touring both in the UK and abroad. In 1981 he founded "Quaqua", a bank of improvisors put together in different permutations for specific events. 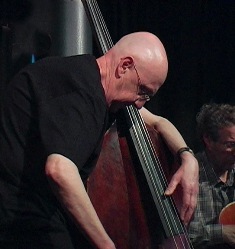 In 1987 he helped set up Acta records with John Butcher and Phil Durrant and in 1990 he inaugurated "Mopomoso" which has become London's longest running concert series dedicated to free improvisation. He says, "For me free improvisation allows me to get closer to music more than any other way of playing." Roger has been working as an improvising percussionist since the early 1970s: solo work, collaborations with experimental rock musics, open-form songs, extensive work with dance, film and visual artists, workshop formations and the hands-on politics of independent record labels and work situations, plus involvements in numerous jazz based ensembles have all contributed to this process. 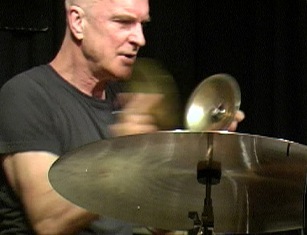 He has collaborated with many of the world's finest musicians from Annette Peacock to Phil Minton, Cecil Taylor to Keith Rowe; and has toured and performed throughout Europe, Australia, Canada, U.S.A., Mexico, China, Japan, and recently the Arctic Circle. A long term associate of John Russell, a trio CD is currently in preparation with French saxophonist Michel Doneda.